One of the perks of being a Bogologist is the chance to travel around and see cool bogs in interesting places (I’m writing this just home from Russia). Over the last few years I have visited quite a few bogs across Europe as part of a couple of research projects and this has really made me appreciate how damaged most of our bogs are in the UK. 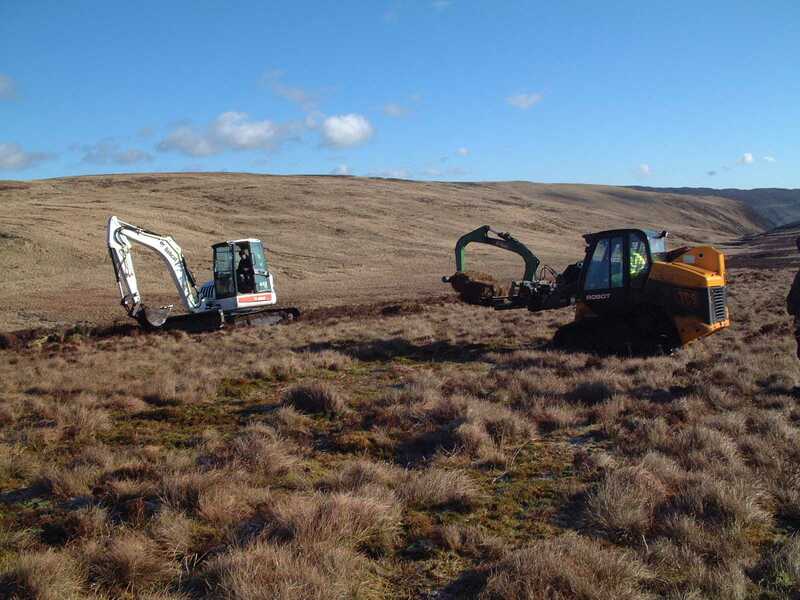 Although UK bogs are increasingly valued for their ecosystem services and we now have some of the tightest regulations on peatland exploitation it hasn’t always been this way. For centuries we have been cutting up our bogs for fuel, draining them for agriculture and burning them to encourage economically important species. One of the most widespread ways we have damaged bogs is by draining them for forestry with 10-20% of all UK bogs planted with non-native conifer trees. In Britain after WW2 there was a desire to increase timber production and encourage employment in declining rural areas so expanding forestry seemed an appealing prospect. The UK at this time had (and still has) a very low cover of woodland by international standards. At the same time the revolutionary Cuthbertson Plough and better agricultural vehicles made it technically possible to grow trees in places which had never previously been feasible, including on peat bogs. 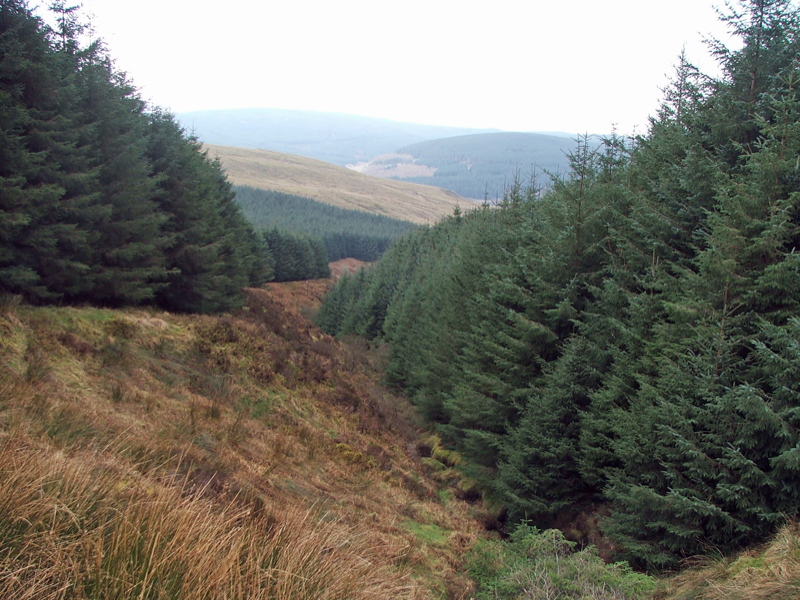 Conifer trees were planted widely across Britain in one of the largest changes to the UK landscape since the Ice Age. Planting was encouraged by tax breaks and many famous people like Terry Wogan and Cliff Richard put their money into planting trees on bogs. The tax deal was so good that people made money just by planting the trees and in some extreme cases the trees were planted with no intention to ever harvest them; investors made a profit anyway. 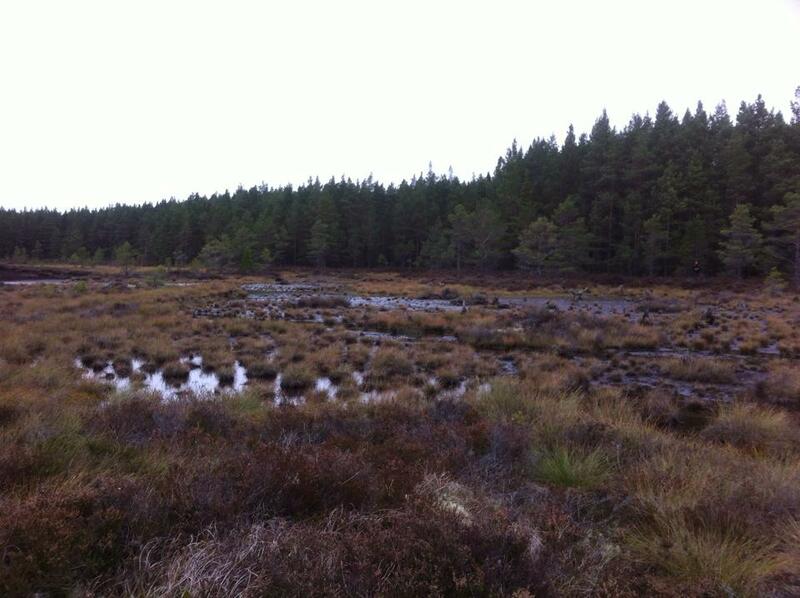 Trees have been planted on bogs across Britain but nowhere more so than the Flow Country of northern Scotland. The Flow Country is arguably the only true wilderness left in Britain. The peatlands are vast and beautiful with amazing pool complexes that you just don’t see anywhere else in the UK. Bogologist heaven! But the Flow Country is remote and land is cheap so vast areas were bought-up by commercial forestry companies to plant trees. Large areas of bog were planted with Sitka Spruce and Lodgepole Pine with the scale of planting clearly visible in satellite photos. This was a huge environmental tragedy and incredibly recent; continuing into the 1980s. There is a remarkable David Bellamy documentary from this era with really depressing footage of pristine blanket bog being ploughed up. In recent years Bellamy has become a loopy climate change-denier but he was also a serious peatland scientist (lots of us own his book) and was at the forefront of the campaign to preserve the Flow Country peatlands. The controversy over the future of the Flow Country became an iconic conservation battle with conservationists scrambling to buy and designate areas of bog before the forestry companies could plant trees. The debate became very acrimonious and it’s often said that the very public role of the Nature Conservancy Council on the ‘anti-forestry’ side of the argument was an important factor in its disbandment by the government of the day. The conservation argument of the 1980s was mostly driven by the impacts of afforestation on wildlife, particularly birds. In recent decades our motivations for conserving peatlands have changed and now conserving carbon stocks, as well as conserving biodiversity, is often an important motivator for looking-after bogs. Although we tend to think of trees as ‘good for carbon’, planting trees on bogs may not be a great idea. Peat bogs are stuffed full of carbon; dry peat is about a half carbon and the average bog is at least a couple of metres deep. Conifer plantations by contrast contain less carbon than you might imagine; if you shred a conifer plantation in situ you end up with a surprisingly thin layer of chippings. 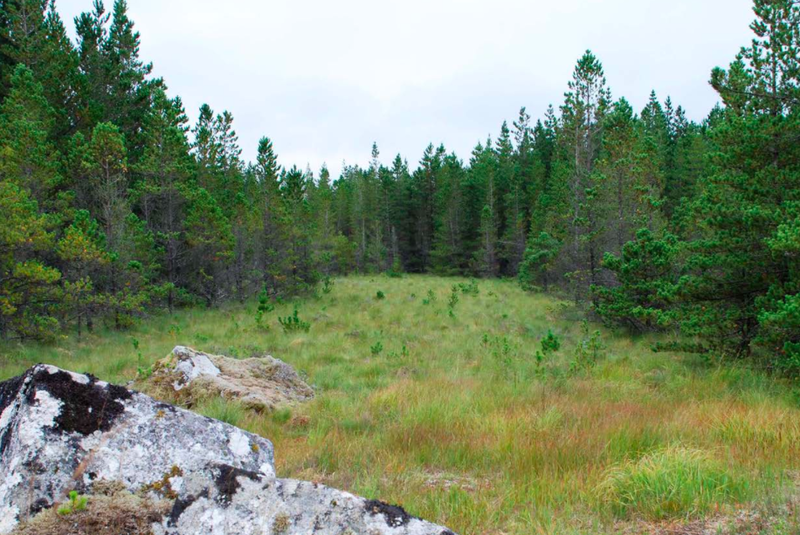 Although many areas of the world have naturally forested bogs where trees and peat happily co-exist, that is not the case here (although there are a few tiny areas). Trees don’t grow on our bogs because they are too wet and don’t have enough nutrients. In order for trees to grow foresters drain the surface and add fertiliser but this can also cause bogs to release carbon. The question is: how much? If afforested peat releases more carbon into the atmosphere than is captured by the trees then planting trees on bogs may be exacerbating climate change… but we don’t currently have the evidence to tell if this is happening or not. The Forestry Commission effectively banned new conifer planting on deep peat in the nineties and by then planting had already slowed due to the removal of the tax breaks in 1988. For now the big question is ‘what should we do with the plantations we already have’? This is the topic of a new research project supported by the Leverhulme Trust that we will be starting later in the year.